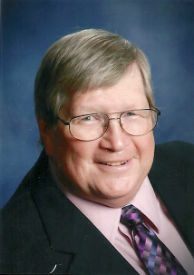 William (Bill) Waldack is 65 years old and has lived with Judy, his wife of 40 years, in Downers Grove since 1985. They have two young adult children who attended St. Joseph School and graduated from Downers Grove South. Bill graduated from DePaul University in 1972. In 1988, he completed the Executive Development Program at the University of Iowa. He retired from AT&T as a Budget Manager in Global Real Estate in 1995. Bill served as Downers Grove Commissioner for two terms (2005 - 2013)and was elected after a voluntary hiatus in 2015. He chaired the Finance and Administration Committee and served on the Public Services and Public Safety Committees. He has also served as liaison to many Village Committees including Transportation and Parking, Environmental Concerns and the Human Services Committees. Bill has served on the Board and as President of Senior Home Sharing, Chair of the IAPCC which coordinates the Ride DuPage transportation system, which has provided over 1 million rides to seniors and people with disabilities. Bill is an active parishioner of St. Joseph's and continues to serve on the annual CROP Walk for Hunger committee.